So horror is not a genre I do well with in either film or games. I am way too easy to immerse into something and my overactive imagination can easily conjure up phantasms inhabiting the dark than anything a developer or filmmaker could come up with… in other words: I scare easily. Nonetheless, I have braved the cold darkness of space to give you an opinion on the new Prey. I am aware that it is a spiritual successor to the much beloved System Shock 2 but that particular game missed its place in my library back in the day so I’ll have to form my opinion just from my impressions of this title without being beholden to nostalgia. 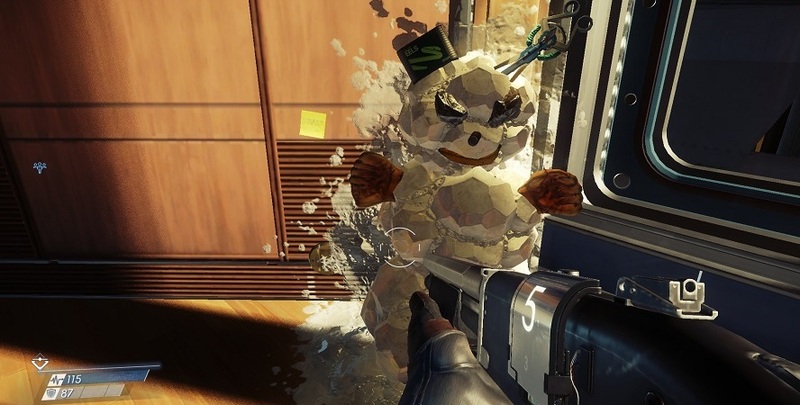 So for a completely fresh perspective on this action horror game, read on! 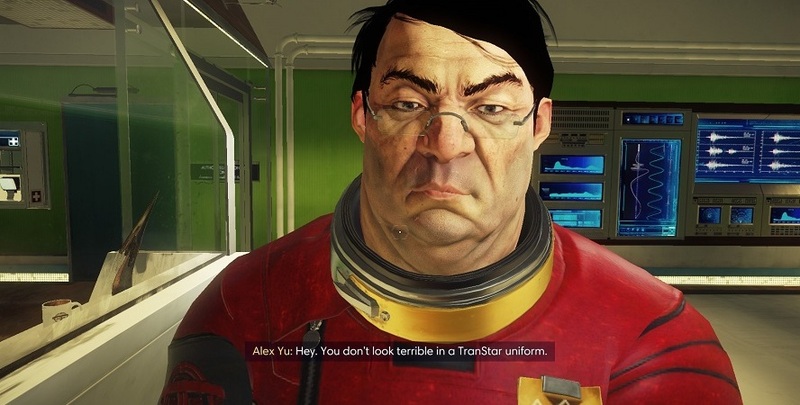 The game throws you into the role of Morgan Yu, a brilliant scientist working as a part of Transtar. You wake up on Earth and, in true gaming scientist tradition, are subjected to testing. In pretty much no time at all, things go haywire and you wake up in a repeat of the simulation you just experienced but escape out into what is revealed to be a sound stage aboard a space station called Talos 1. Due to a side effect of a procedure with neural implants, you are suffering from amnesia and have no idea why you were in the simulation or what calamity has befallen the station. As you navigate the twists and turns of the narrative, every answer only serves to give about the who, why, and what. As far as video game narratives go, this game does a fairly solid job with interesting hooks which kept me motivated to keep going along with it. Like any good mystery, it starts off asking you simple questions about what is happening to you and the world around you. Each clue you find is another thread you can pull on which only really adds to the conspiracy theorist dartboard of connections between every other piece of information you find. It takes a while to unravel and, truth be told, I have not yet finished the main story at the time of writing this but I’m enjoying the hours that I’ve spent with the story so far and am eager to try more of it next opportunity I have to play. The setting is certainly an interesting alternative timeline and a creative reimagining of what the space race would have been like if Kennedy had survived his assassination coupled with first contact with a hostile alien species. You get little snippets of the world through audio log type recordings and books you can find scattered around the station and they little insights into the wider world. The game’s lore feels different enough so that when a character or text makes reference to an event in the alternate timeline, you can feel proud of yourself for knowing where and how this new information fits into the timeline. I’m sure if you’re one of those individuals who prefers to keep their gaming experience light of lore then you’ll probably enjoy the story just as much without knowing the game’s trivia. 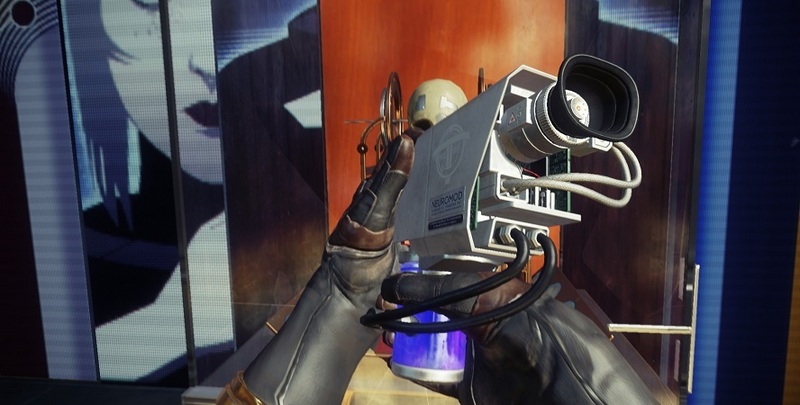 The game showcases some fairly robust first-person shooter mechanics. You’ve got a plethora of weapons for a variety of encounters and enemy types all of which you have to manage in an inventory system which also houses your medkits, ammunition, and other crafting items. As you navigate the levels, you’ll collect and scavenge items which you can recycle at various crafting station scattered throughout the levels to make more of whatever it is that you need. 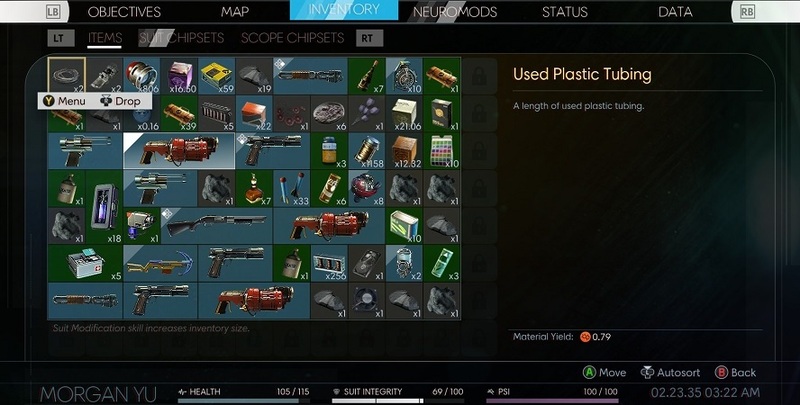 As well as managing your inventory, you can also come across neuromods which serve as upgrade points for your various hacking, traversing, and combat abilities. 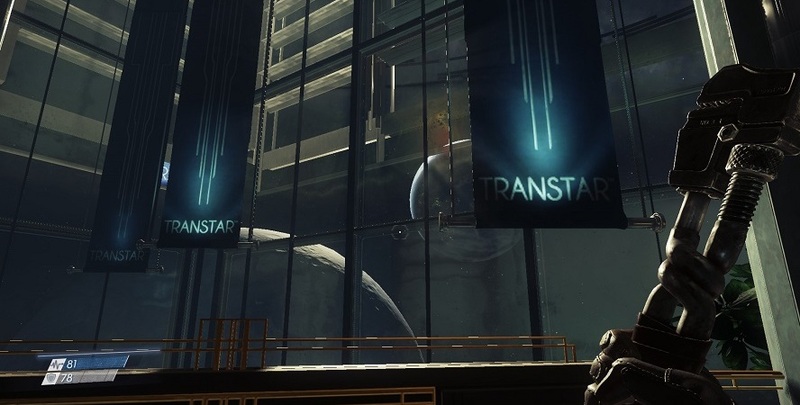 Something I absolutely loved in Prey was the level design and the varying architectural styles of station. 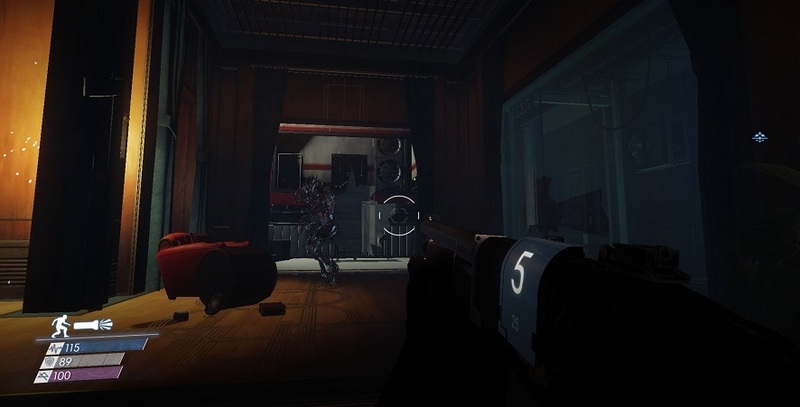 As you run (and gun) your way through the twisting corridors, cluttered laboratories, and high vaulted lobbies. You’ll be running from section to section, learning the station layout by heart, and have a pretty good time doing so. The environments also allow you to approach any given problem in whatever way you can think of. For example, you could encounter a locked door and you attempt to either hack the lock (when you have it at a sufficiently high skill) or do what I did and climb in through a vent, find a shotgun very early in the game, and then spend the rest of the time gunning down enemies with abandon. The game supports exploration with Easter eggs, items, and bits of lore which any wannabe treasurer hunter will certainly appreciate. The enemy types have some enjoyable variance to them at first, with the mimic types being a constant threat of ambush and uncertainty. The first time I encountered a phantom was a genuinely terrifying experience for me and I remember running back through the lobby with my tail in between my legs. After you get kitted out with weaponry heavier than a glue gun, however, they become much more manageable. My biggest concern when encountering enemies became managing my reserves of ammunition and health, which is largely par for the course for most FPS games of this type which lose some of their horror aspect about halfway through their story. I found this game to feature some very interesting visual design in terms of the various sections of Talos I and the design of the enemies. Each level of the station feels like it has its own aesthetic concerns and style from the practical workspaces of the engineering workshop to the stylish executive offices of the lobby and the brutalist architecture of Psychotronics. There’s a lot of variation which makes every area feel unique and gives an element of novelty as you run through the station. Each of these aesthetic choices feel like a throwback to various other designs in games such System Shock and the original Bioshock and Deus Ex. In regards to the visual designs of the Typhon enemies, I quite enjoyed the inky black character design of the various creatures you fight. There has been some criticism leveled at the Typhon for being rudimentary in their design as amorphous shadowy beings but I found their character design to be a refreshing change from other alien designs in the zeitgeist. They’re different, they’re weird, they’re creepy; they’re pretty much exactly what you’d want out of an antagonist in a horror action game. Note: Up front, I must say, I was not able to play the game at its highest graphical settings on my computer. Although my rig is fairly high end and was top of the line just a few short years ago, it does not meet the recommended specs to run this game. So keep that in mind when you’re looking at the screenshots I’ve taken which may not showcase the game at its best. My opinion in this section is therefore based upon the general aesthetic and visual design of the game. If you want to see how the game textures and visuals look at the highest settings, check out a lets play or something. In horror films and games, the sound design is of extreme importance for creating, raising and releasing tension. Luckily, Prey features a very robust and competent soundscape which accentuates the horror and sci-fi aspect of the game. As well as plucking strings to match the creepy, spider-like movements of the smaller mimic enemies as well as violin screeches when enemies jump out of the woodwork to ambush you. The soundtrack also features distinct synthetic tones to match science fiction aesthetic of the game. Although the game does miss a few marks here and there, by and large the audio cues play at appropriate times to add to, rather than break, the immersion. One aspect of the sound design I had mixed feelings on was the fact that the phantom enemies repeat various bits of distorted dialogue which is taken from various NPCs throughout the game. As much I enjoyed the creepy aspect of having something so clearly inhuman speak in a way which was an uncanny imitation of actual speech (think the Vashta Nerada in the space suits from Doctor Who), their very short list of phrases and words soon lost its creep factor. In horror, the unknown invites terror and the familiar breeds contempt which is unfortunately what happened with my feeling towards this aspect of the phantom enemies. It would have been nice if they had a larger list of phrases to say but I imagine that it would have been difficult to maintain the creep factor over a long enough play time. It’s a cool sound design but ultimately ends up overstaying it’s effectiveness. 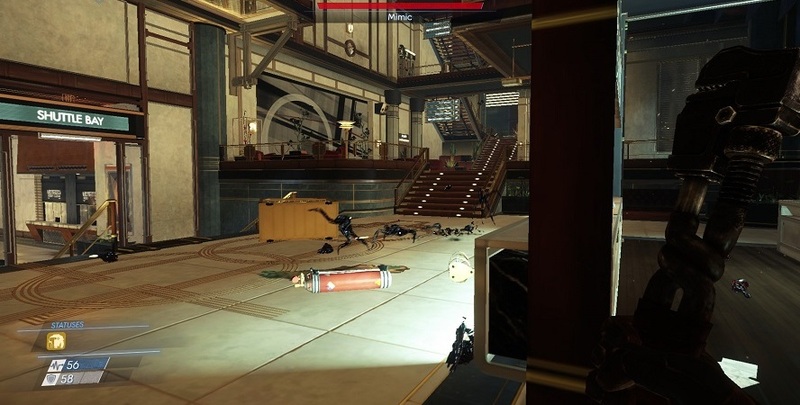 So, ultimately, I have very much enjoyed my time with Prey. It features a fairly robust narrative with enough to keep me interested throughout my time with the game. The gameplay has been largely enjoyable too with plenty of close calls and opportunities for lateral thinking to keep me on my toes. The visual design is certainly a unique composite of various styles for a fairly pretty game. The game’s soundscape is competently crafted to compliment the game’s horror moments and unsettle the player. It’s a game I have no problem recommending for fans of the Bioshock series and fans of action horror in general. 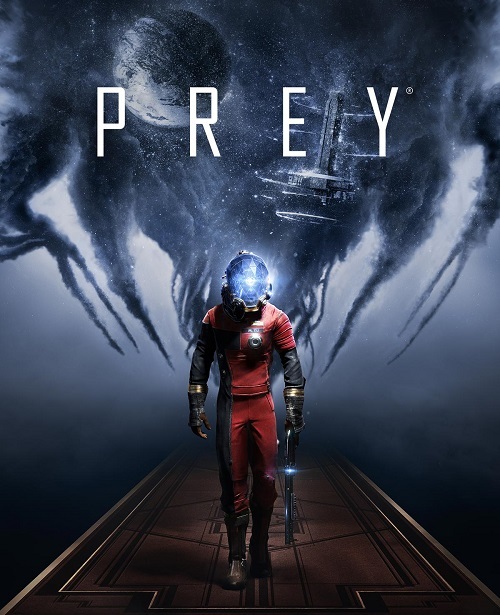 Prey features an intriguing story, solid gameplay and interesting visuals and audio to create a fun action horror experience.